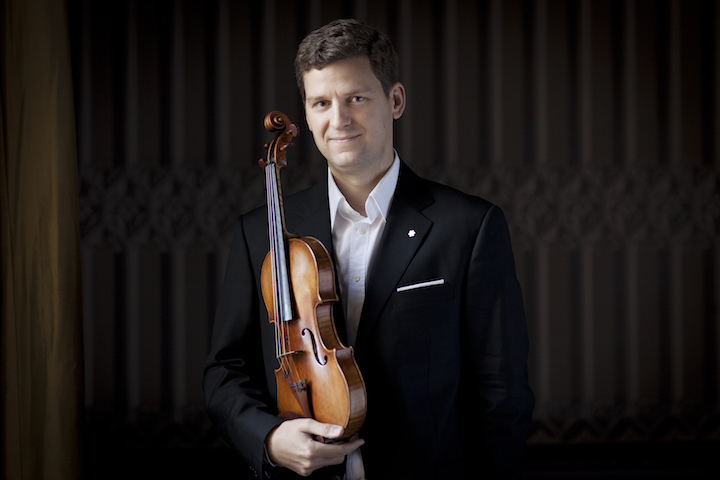 Internationally recognized and Grammy Award-winning Canadian violinist James Ehnes returns to Overture Hall this weekend to perform the Brahms Violin Concerto with the Madison Symphony Orchestra (MSO, below in a photo by Greg Anderson). 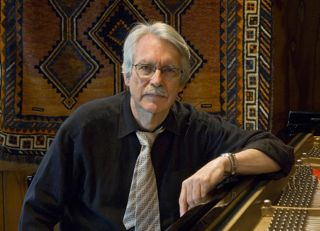 The program opens with a performance of American composer John Harbison’s The Most Often Used Chords, and closes with Modest Mussorgsky’s Pictures at an Exhibition. 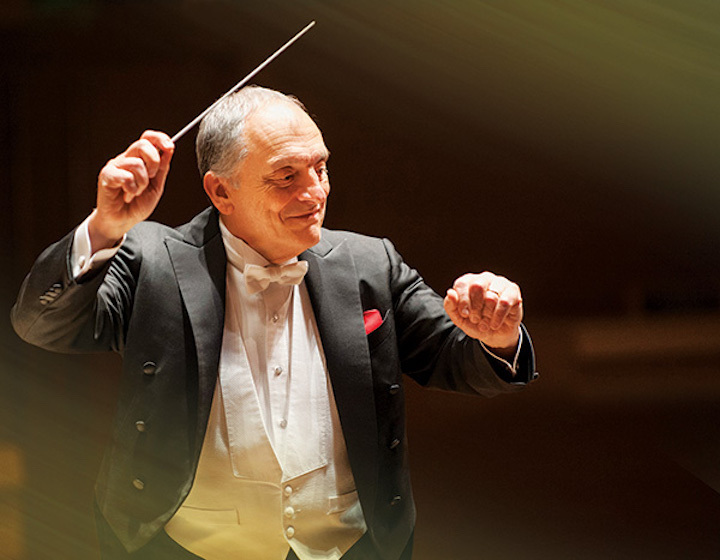 This program is a continuation of MSO music director John DeMain’s 25th anniversary season. Performances will be held in Overture Hall, 201 State Street, on Friday, Feb. 15, at 7:30 p.m.; Saturday, Feb. 16, at 8 p.m.; and Sunday, Feb. 17, at 2:30 p.m.
“Mussorgsky’s masterpiece explores the colors of the orchestra — the correlation of an artist’s visual medium through the colors of sound and music. And its finale The Great Gate of Kiev (heard in the YouTube video at the bottom), is one of classical music’s greatest hits,” says DeMain (below, in a photo by Greg Anderson). 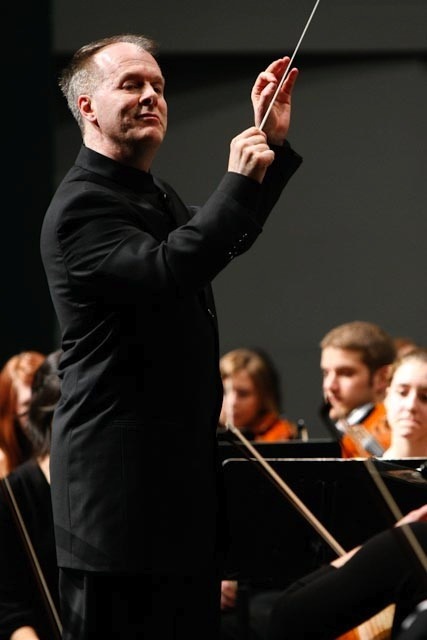 On this Friday afternoon, Feb. 15, from 2:30 to 4 p.m. in Mills Hall, Ehnes will give a free and public master class at the University of Wisconsin-Madison’s Mead Witter School of Music. Harbison’s The Most Often Used Chords is a satirical piece of “anti-art art,” or “found object,” art. According to the composer, the found object that inspired this symphony (originally titled Fli Accordi Piu Usati) were the pre-printed “Fundamentals of Music” pages that he noticed in an Italian music-writing notebook. The work was originally composed in 1992 for the Los Angeles Chamber Orchestra. Written in 1878, the Brahms Violin Concerto was dedicated to his friend Joseph Joachim and premiered in 1879 in Leipzig, with Joachim soloing and Brahms (below) conducting. An equal partnership between soloist and ensemble is on full display in this concerto; it is not a piece in which the orchestra serves as mere backdrop. Rather, the violinist and orchestra are a team, collaborating and interacting to recount an elegant and nuanced musical drama. Originally written as a piano composition, Pictures at an Exhibition by Modest Mussorgsky was composed as a memorial to his friend, the Russian artist Viktor Hartmann, who died in 1873. The suite consists of 10 movements — each a musical depiction of one of 10 paintings by Hartmann. These movements are interspersed with a recurring promenade theme that represents a visitor strolling through the exhibition. 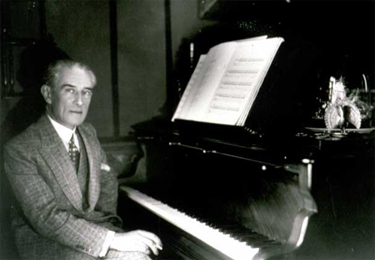 The arrangement by Maurice Ravel (below), produced in 1922, represents a virtuoso effort by a master composer. His instrumental colors — a trumpet solo for the opening Promenade, dark woodwind tones, the piccolo and high strings for the children’s “chicks in shells” — are widely admired. The influence of Ravel’s version may often be discerned in subsequent versions of the suite. The lobby opens 90 minutes prior to each concert. One hour before each performance, Randal Swiggum (below) will lead a 30-minute Prelude Discussion in Overture Hall to enhance concertgoers’ understanding and listening experience. It is free to ticket holders. 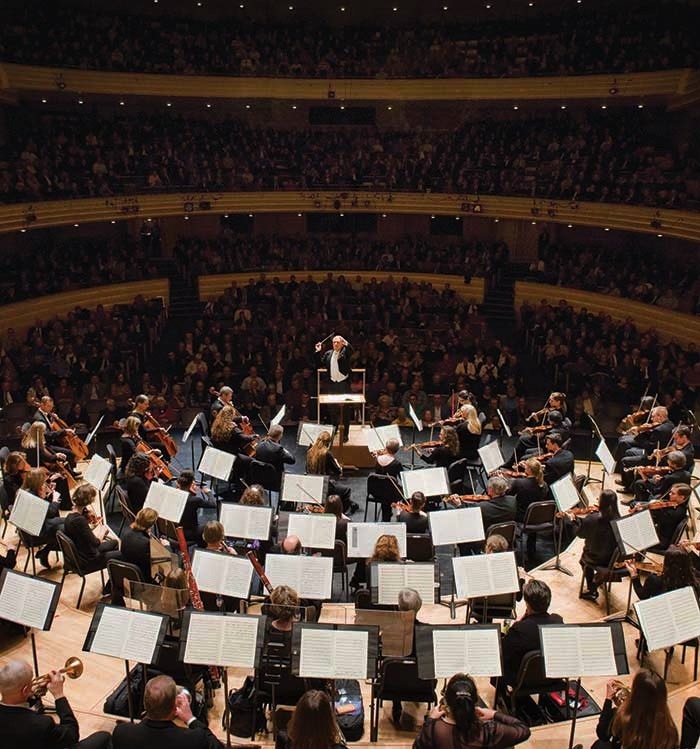 The symphony recommends concert attendees arrive early for each performance to make sure they have time to pass through Overture Center’s security stations, and so they can experience the Prelude Discussion. 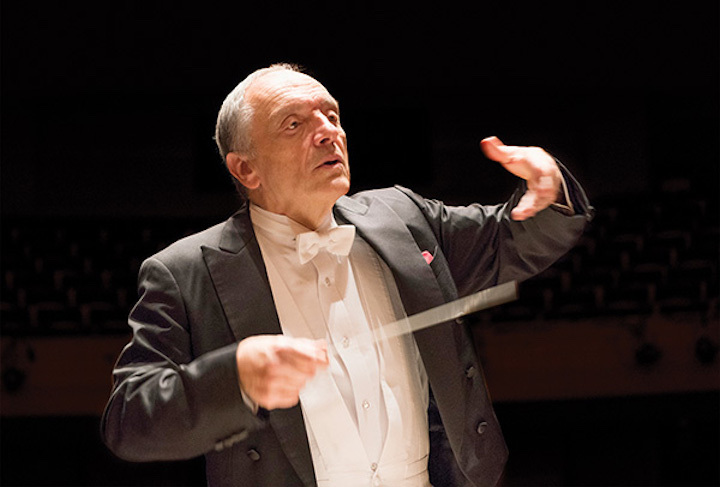 Single Tickets are $18-$93 each and are on sale now at: https://madisonsymphony.org/ehnesthrough the Overture Center Box Office at 201 State Street, or by calling the Box Office at (608) 258-4141. Fees apply to online/phone sales. Major funding for the February concerts is provided by: The Madison Concourse Hotel and Governor’s Club, BMO Harris Bank, Boardman and Clark LLP, Capitol Lakes, Dr. Robert and Linda Graebner, Marvin J. Levy, and Cyrena and Lee Pondrom. Additional funding is provided by Martha and Charles Casey, and by the Wisconsin Arts Board, with funds from the State of Wisconsin and the National Endowment for the Arts. 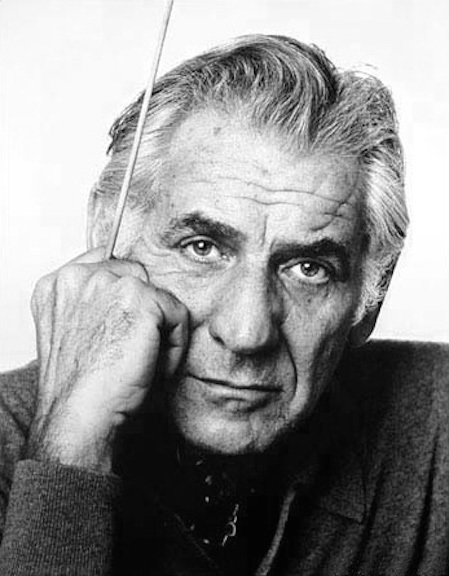 This coming weekend, Leonard Bernstein (below, in a photo by Jack Mitchell) will be remembered, honored and celebrated by his friend and Madison Symphony Orchestra music director John DeMain in a “Remembering Lenny” concert that explores Bernstein’s musical contributions as an American composer and conductor. Original works by Bernstein will be performed by the MSO on the first half of the concert. The MSO starts with the Overture to Candide, then moves on to On The Town, and, finally, performs his Symphony No. 2 “The Age of Anxiety,” featuring Van Cliburn Competition bronze medal winner and UW-Madison pianist Christopher Taylor. The second half of the program features Ludwig van Beethoven’s Symphony No. 7, the last work that Bernstein (1918-1990) ever conducted during a concert at the summer Tanglewood Festival of the Boston Symphony Orchestra. Performances will be held in Overture Hall, 201 State Street, on this Friday night, Nov. 9, at 7:30 p.m.; this Saturday night, Nov. 10, at 8 p.m.; and this Sunday afternoon, Nov. 11, at 2:30 p.m. Ticket information is below. Bernstein’s operetta Candide is based on the 1759 novella by French philosopher Voltaire. The well-known Overture is quick-paced, with a feverish excitement that begins from the first breath of sound. Many of the meters are in seven beats, or of other non-traditional types, and quickly change. Each player of the ensemble is required to perform with simultaneously the utmost virtuosity and togetherness. On the Town is a dance-centric musical scored by Leonard Bernstein based on Jerome Robbins’ idea for the 1944 ballet “Fancy Free.” The story depicts three American sailors on a 24-hour shore leave in New York City during wartime, where each man meets and quickly connects with the woman of their dreams. The musical is the source of the ubiquitously popular show tune New York, New York. The Age of Anxiety was composed between 1948 and 1949, and is inspired by a poem of the same name by W.H. 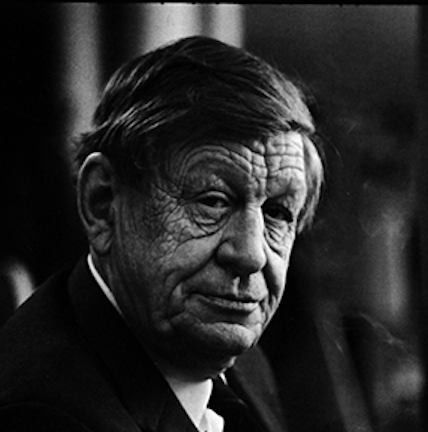 Auden (below). The 80-page poem follows four lonely strangers who meet in a wartime New York bar and spend the evening ruminating on their lives and the human condition. Subtitled “a baroque eclogue” (a pastoral poem in dialogue form), the characters speak mostly in long soliloquies of alliterative tetrameter, with little distinction among the individual voices. 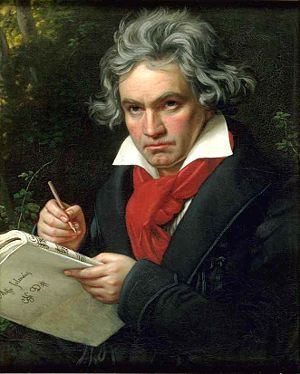 Composed from 1811–1812, Beethoven’s Symphony No. 7 premiered with Beethoven (below) himself conducting in Vienna on December 8, 1813 at a charity concert for soldiers wounded in the Battle of Hanau. The symphony’s dance elements, vitality and sense of celebration are conveyed principally through rhythm. It is not the melodies that are so striking and memorable as the general sense of forward movement. The Overture lobby opens 90 minutes prior to each concert. One hour before each performance, Randal Swiggum (below) will lead a 30-minute Prelude Discussion in Overture Hall to enhance concertgoers’ understanding and listening experience. It is free to ticket holders. Single Tickets are $18-$93 each and are on sale now at: https://madisonsymphony.org/bernstein\through the Overture Center Box Office at 201 State Street, or by calling the Box Office at (608) 258-4141. Fees apply to online/phone sales. The Presenting Sponsor for the November concerts is Steinhauer Charitable Trust. 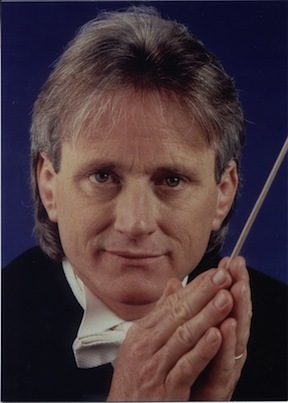 Underwriting for Christopher Taylor is provided by Sharon Stark, “to Peter Livingston with love.” Major funding is provided by: Stephen D. Morton, The Gialamas Company, Inc., Myrna Larson, Madison Symphony Orchestra League, and Nancy Mohs. Additional funding is provided by Robert Benjamin and John Fields, Godfrey & Kahn, S.C., and Wisconsin Arts Board, with funds from the State of Wisconsin and the National Endowment for the Arts. This weekend the Madison Symphony Orchestra (MSO) features Tine Thing Helseth (below), the Norwegian virtuoso trumpet soloist, for a special performance of Johann Nepomuk Hummel’s Trumpet Concerto. The program begins with the Egmont Overture by Ludwig van Beethoven, followed by the MSO’s premiere performance of the Trumpet Concerto by Johann Nepomuk Hummel, featuring Helseth. 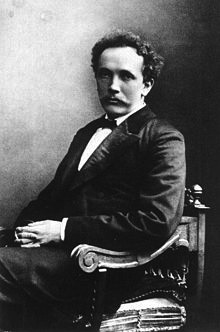 The concert ends with a nod to the awesome splendor of the Bavarian Alps, “An Alpine Symphony,” by Richard Strauss. The concerts are this weekend on Friday at 7:30 p.m., Saturday at 8 p.m., and Sunday at 2:30 p.m. in Overture Hall, 201 State Street. See below for ticket information. Beethoven (below top) composed his Egmont Overture in 1810. 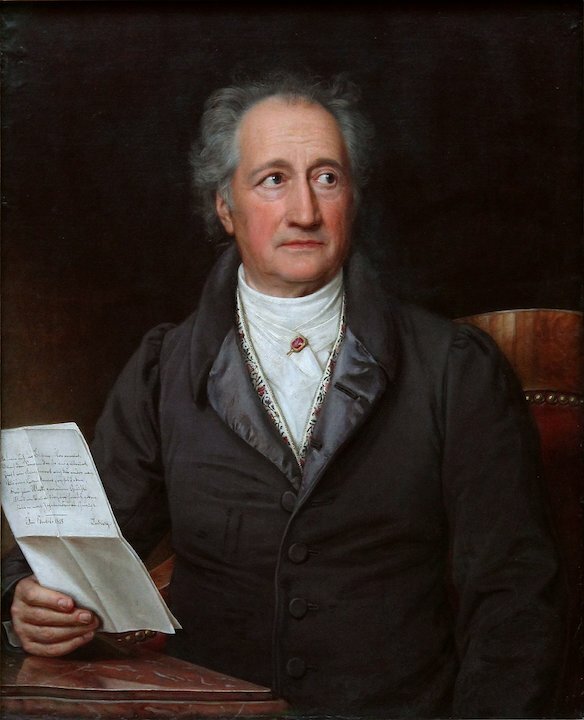 Both Beethoven himself, and playwright Johann Wolfgang von Goethe (below bottom) upheld the ideals of human dignity and freedom in their works. 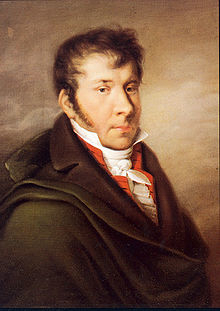 Another friend of Beethoven’s, was Johann Nepomuk Hummel (below). Even though they were rivals, their respect for each other’s talent kept the relationship afloat. Hummel’s Trumpet Concerto is a frisky fanfare with “playful dancelike” episodes laced throughout. 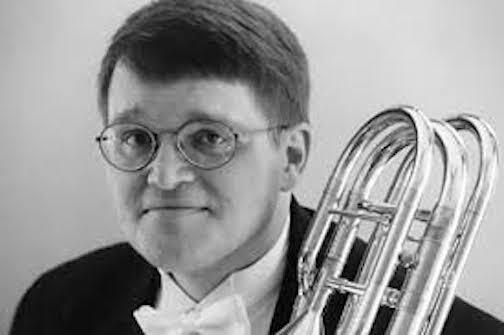 This is the first time Hummel’s Trumpet Concerto will be performed by the Madison Symphony Orchestra. Richard Strauss (below top) composed his Eine Alpensinfonie (“An Alpine Symphony”) from 1911-15. The final score used materials from some of his unfinished works, including an Artist’s Tragedy and The Alps. Though there are many influences for this piece, the main is Strauss’s love for the Bavarian Alps. 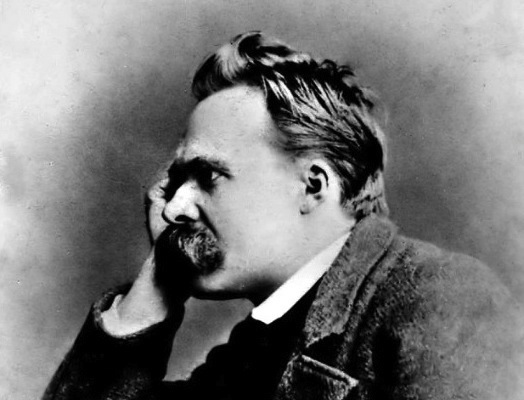 In his diary he wrote: “I shall call my alpine symphony: Der Antichrist, since it represents: moral purification through one’s own strength, liberation through work, worship of eternal, magnificent nature.” Antichrist is a reference to an essay by philosopher Friedrich Nietzsche (below bottom), and though the title was dropped for its publication, the work still carries many of Nietzsche’s ideals. One hour before each performance, Michael Allsen (below, in a photo by Katrin Talbot), the author of MSO program notes and an MSO trombonist as well as a UW-Whitewater Professor of Music, will lead a 30-minute Prelude Discussion in Overture Hall to enhance concertgoers’ understanding and listening experience. 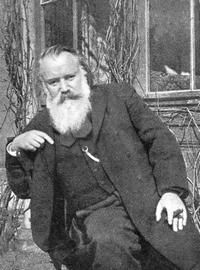 For more background on the music, please visit the Program Notes at: http://www.allsenmusic.com/NOTES/1617/6.Mar17.html. Single Tickets are $16 to $87 each, available at madisonsymphony.org/helseth and through the Overture Center Box Office at 201 State Street or call the Box Office at (608) 258-4141. Groups of 15 or more can save 25% by calling the MSO office at (608) 257-3734. For more information, visit madisonsymphony.org/groups. Club 201, MSO’s organization for young professionals, has continued to fulfill its mission for the past 11 years as the premiere organization promoting classical music and networking opportunities to the young professionals’ community in Madison. Tickets are $35 each and include world-class seating in Overture Hall, an exclusive after-party to be held in the Promenade Lounge, one drink ticket and a cash bar. The conductor as well as musicians from the symphony may also be in attendance to mingle with Madison’s young professionals during the after-party. The deadline to purchase tickets is Thursday, March 9, pending availability. Tickets can be purchased for this event, as well as the other events throughout the 2016-17 season by visiting the Club 201 page on the MSO’s website at http://www.madisonsymphony.org/club201. Major funding for the March concerts is provided by: The Madison Concourse Hotel & Governor’s Club, An Anonymous Friend, and Madison Gas & Electric Foundation, Inc. Additional funding is provided by: Audrey Dybdahl, Family and Friends, in loving memory of Philip G. Dybdahl, John A. Johnson Foundation, a component fund of the Madison Community Foundation, Madison Veterinary Specialists, Gary and Lynn Mecklenburg, and the Wisconsin Arts Board with funds from the State of Wisconsin and the National Endowment for the Arts.